On your mark, get set, go! 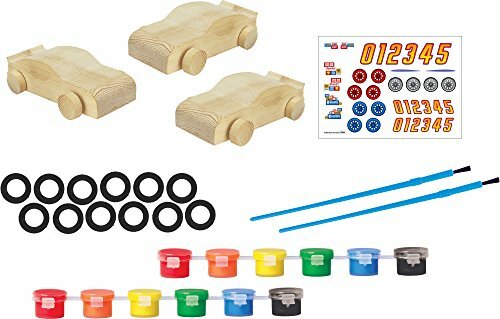 Rev your creative engines and create fun, "vroom-tastic" wooden race cars. Use the included paint to brush on your design, and finish it off with stickers and foam wheels. But these aren't just show cars-they're race cars with real spinning wheels. Race them on your desk, outdoors, and more. 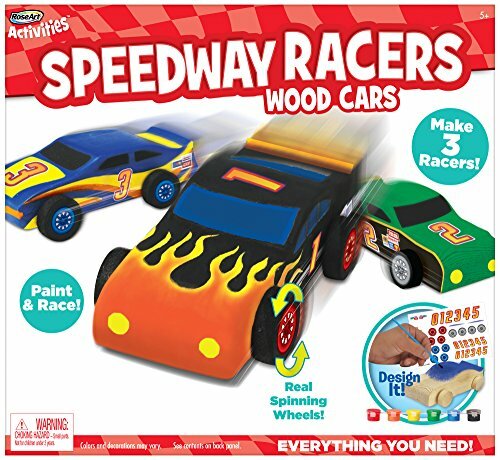 Get ready to take the creative checkered flag-with Speedway Racers!